Our mission from the beginning has been to bridge the language gap between our clients and their customers/patients by providing better access to client resources, tools and equipment. If you feel that there is an area or resource that we can provide to better serve you, don’t hesitate to contact us and let us know how we can help to improve our service and support. View and order support materials that help your organization’s staff quickly and efficiently access the right interpreter. 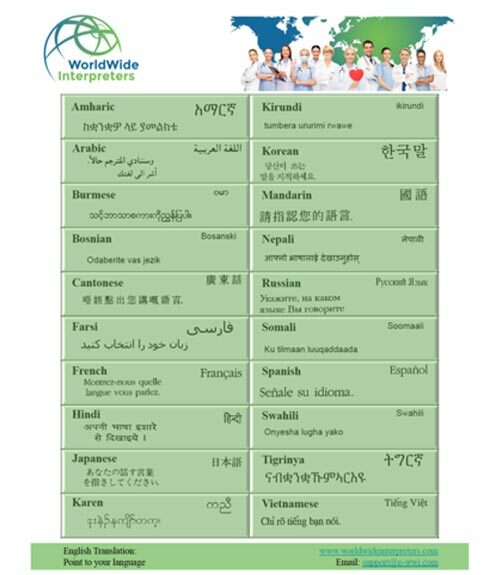 WorldWide Interpreters also provides instructional and “Top Language” posters for customers and patients to see. With these helpful posters, your customers/patients will feel comfortable in asking for a trained interpreter that will make their experience with you smooth. Customers and patients will feel truly cared for when they can communicate in their primary language. Note: We also provide “Top 15 Languages” so your healthcare organization can comply with the ACA (Affordable Care Act) language requirement. 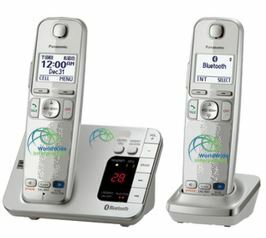 View and order interpretation enhancing phone equipment that can make connecting quick, easy with improved sound quality. You can access our trained interpreters from almost any phone, but when 99.99% connectivity is crucial to your business, one of our telephone systems can help by increasing productivity and efficiency.